This is a freshwater common minnow (Phoxinus phoxinus) from Cromhall in Gloucestershire. 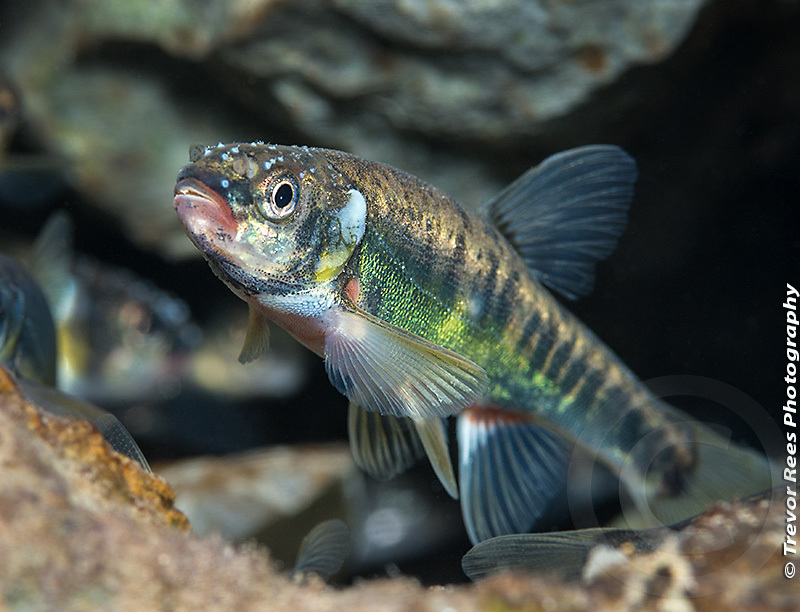 This male minnow, taken in June, is showing full breeding colours. It is published in the February 2015 edition of SCUBA magazine's PHOTOQUEST column. It is pleasing to be able to show a subject that very few other photographers have attempted. This is perhaps surprising as it is one of the commonest fish in Britain. Whilst females are a fairly dull brown the males colour up quite strongly in the breeding season. The dorsal fin becomes quite prominent and in this individual you can see small white thorn like structures on the top of the head. These are breeding tubercles that are used in nest building and for maintaining body contact with spawning females.